The prize ist donated by Gerald Schweighofer and the Schweighofer industry every second year. This year, the ceremony took place at the Vienna city hall. 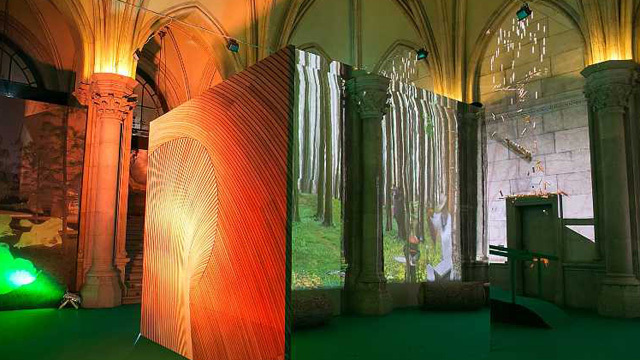 Interactive projection walls enchanted the location into an impressing imagination of wood and forest. 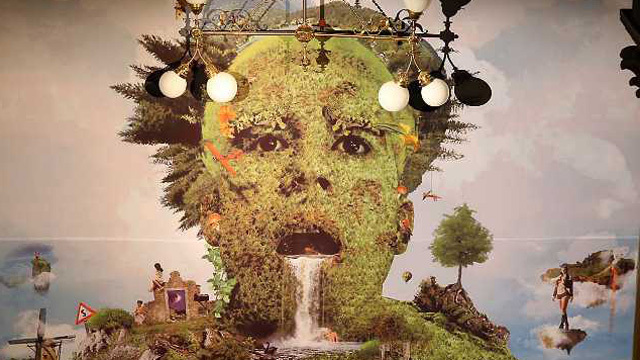 One of the unique wall projections was an artistic production developed by peyote, the "pellets rain". 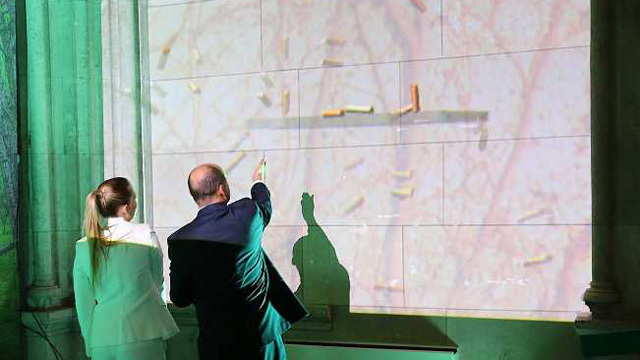 Its a physically accurate real time simulation of wooden pellets raining down and are distracted by different barriers. 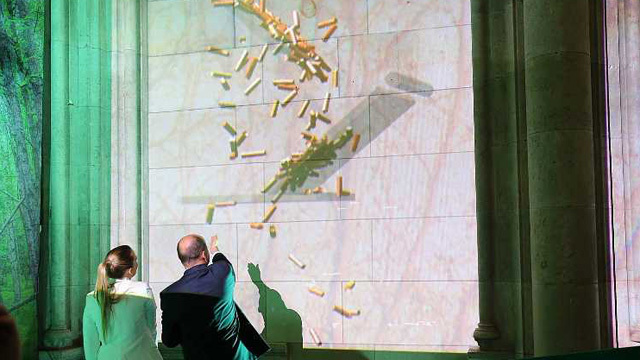 Additionally, the pellets rain follows the pointing of one`s finger and can be operated individually by the visitors. 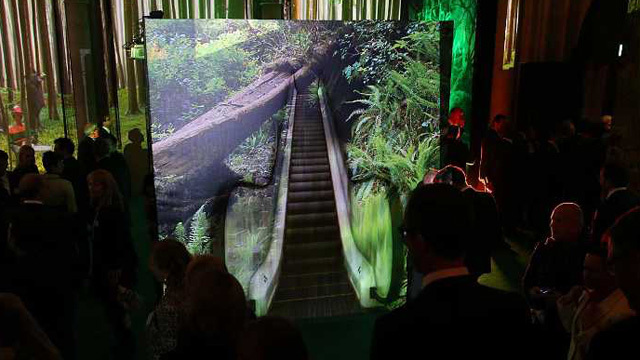 The interactive 3D Mapping was supported by NVIDIA Graphic cards, known for their extreme performance in the 3D movie- and high resolution gaming sector. 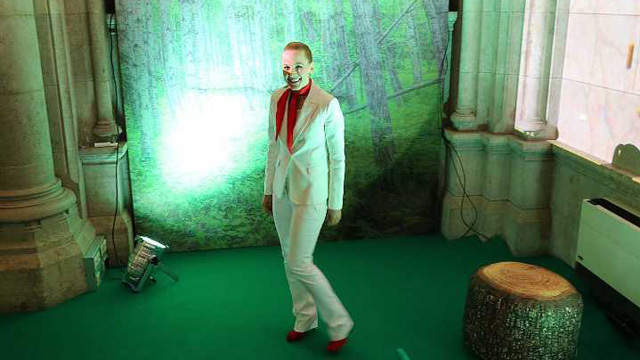 The Vienna based event agency "perfectprops" was responsible for the planning and realisation of the event. The Schweighofer Prize awards innovative ideas, technologies, products and services in order to strengthen the competitiveness of the European Forest Based Sector. 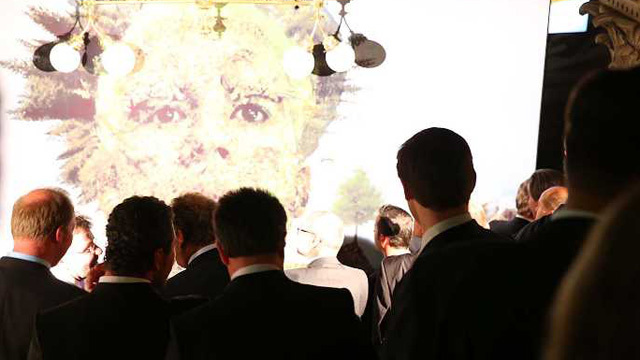 The prize which consist of one main award and some innovation awards is endowed with a total prize money of EUR 300,000.